Wasting energy is a big flub. It hurts you financially, and it hurts our environment. Electricity is a notable portion of our basic bills, but many of us carelessly use electricity and then blindly pay the bill. If you’re interested in stepping out of that cycle, hopefully the tips below on how to conserve electricity (and save money) will be of some use to you. One of the most effective solutions for households across the country is to switch out inefficient, incandescent light bulbs for efficient light bulbs. Lighting accounts for about 17% of all commercial and residential electricity usage in the US. It’s a big target. We should all be switching to more efficient light bulbs. 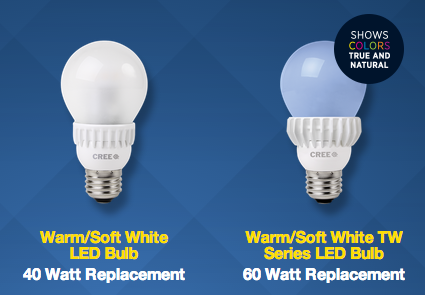 In the past several years, that has meant switching out incandescents for CFLs, but even more efficient LEDs are now becoming very competitive and are probably your best bet. LEDs for under $10 are now available at Walmart and Home Depot. Do you really need those lights on? Aside from switching to more efficient bulbs, it’s also probably worthwhile to simply pay more attention to your use of lights and not leave lights on that you aren’t using. This just requires forming the habit of looking out for such things… and, well, occasionally getting up to turn a light off. If you live in a cold climate and use electricity for heating, another key solution is to make sure your home is well protected from the cold. Weatherization, changing out old windows for new energy-efficient ones, putting more or better insulation in your walls, and improving your ventilation are great ways to drastically cut back on your heating needs. In hotter climates, one of the keys to cutting electricity usage is of course cutting air conditioner (AC) usage. There are a lot of ways to stay cool without blasting the AC. Fans can work quite well (up to a certain temperature), as can removing your clothes, opening windows and doors on both sides of your home (maybe not combined with removing a bunch of clothes — the topic is how to conserve electricity, not how to flash gross out your neighbors), keeping the refrigerator door open (wait a second… scratch that one), drinking enough water, and eating cooling foods. One more big one that is very common in much of Europe and used to be very common in the US is cutting off the dryer. Line dry your clothes instead. Think that you don’t have space for it? I don’t buy it for a second. European apartments and houses are something like half the size of US ones, and, like I said, it’s normal here for people to line dry. One very common solution are foldable racks that you can put up anyplace you have a bit of extra space. Naturally, not using very electricity-hungry electronics will help to reduce electricity usage. However, beyond that obvious solution, another one that can really add up to some strong electricity savings is simply unplugging things you aren’t using at the moment. Some electronics and appliances don’t pull much electricity when off by plugged in, but some do. Gaming consoles and DVD players are supposed to be some of the particularly electricity-needy devices. Unplug them when not in use. If you’re looking for something a little more high-tech than the above, a solution you might love is getting a “learning thermostat.” You don’t need to learn about how to conserve electricity when your thermostat is learning for you, right? 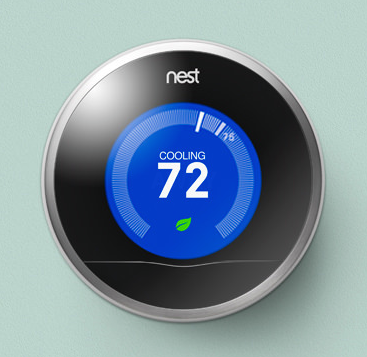 A notable company in the learning thermostat realm is Nest. Founded by the person who came up with the concept and initial design of the iPod, Tony Fadell, Nest is pushing the limits of technology in order to help you save electricity. It’s learning thermostat seems to be selling well, and I actually just noticed today that it is available in Apple stores. Check it out sometime, or go buy one today. I think that’s quite a start. If you have more great ideas for how to conserve electricity, drop them in the comments below! Of course, beyond conserving electricity, simply using the energy of the sun can do away with the main problems associated with too much electricity consumption — high energy bills and pollution — so don’t forget to also get a solar quote and check out how much money you could save by going solar. For the average American who has the opportunity to go solar, the savings is reportedly about $20,000 over 20 years, and probably well above that over the lifetime of a solar power system. So, beyond conserving electricity, don’t skip the “going solar” option.